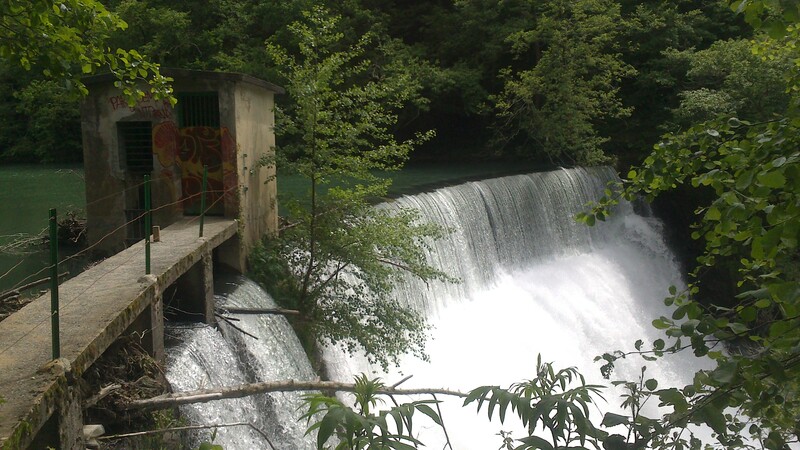 Inturia dam is located in Leitzaran River (Oria River Basin), in Elduain Municipality, Gipuzkoa Province (Basque Country, Spain). With a length of 44km, the Leitzaran is the biggest tributary of the Oria River. It belongs to Natura 2000 and is catalogued as a protected biotope. This dam was built in 1913 to regulate the river’s flow, especially in summer. 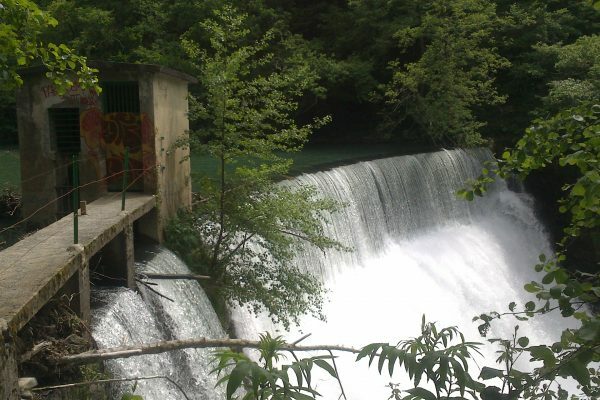 This dam was also part of the hydropower dam system of Bertxin, located downstream. Inturia Dam was 12m high and was completely filled with sediments. It negatively affected longitudinal connectivity for fauna migration, free sediment movement and good spawning grounds. 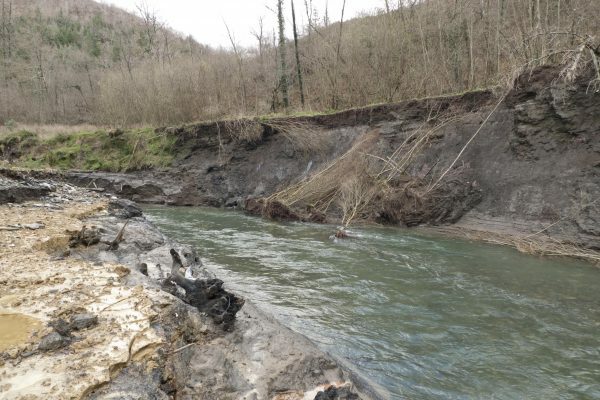 Due to the high sediment accumulation behind the dam (236,000m3) the demolition was planned in four different phases. The first and second phases were completed in 2013 and 2014, thanks to the project GURATRANS (EFA221/11), transboundary project of Spain-France-Andorra Cooperation, co-funded by FEDER, with the collaboration of Navarra, Atlantic Pyrenees and Basque Country entities. The third and fourth phases were completed during 2015 and 2016, and were part of the IREKIBAI LIFE project. 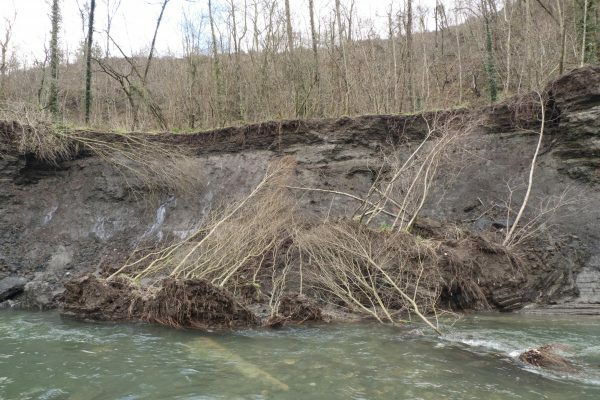 This project was a collaboration between the Gipuzkoa Regional Government, Navarra Regional Government, the Basque Water Agency, GAN (Environmental Management of Navarra) and HAZI.